Enhance with one of our specialist coatings to bring out the visual and tactile effect of your message. Enhance the finish with one of our gloss or silk coatings or try our “Soft Touch” coating with its smooth, tactile finish to enhance the quality feel of your company. This is not just an overprint aqua seal that many other print companies use, this is a dedicated coating with inline infrared and hot air drying that produces a much smoother more tactile finish, with a visually more pleasing result. We can apply heavier coats and also apply the super luxurious ‘soft touch’ coating which is the ultimate in quality finishes. We can also Gloss UV varnish which has a much higher gloss than standard, or Gloss or Matt Laminate, which give the highest quality and durable plastic finish, please note, an additional day must be allowed with these specialised finishes. We also offer fulfilment and direct mail services. 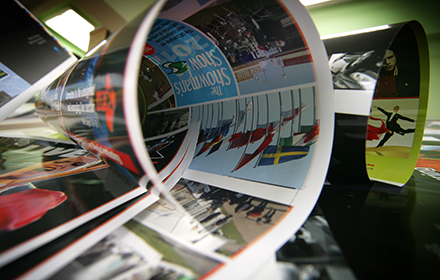 Contact us to arrange a magazine print quote or to find out more about our other printing and mailing services.